Strong Christian leadership has helped MBU become a flourishing liberal arts college. Our leaders are a living example of our mission statement: ensuring professional and personal success without compromising your faith. President Keith Ross assumed the presidency in January 2018 and began his tenure at MBU in 1992. During his time at MBU, he has successfully led three major fundraising campaigns that have provided resources to further the University’s Christ-centered mission. 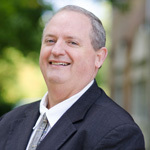 In 1987, Dr. Ross earned a bachelor of arts in religion from MBU. He earned a master of arts in organizational leadership in 2008 from Regent University in Virginia Beach, Virginia. In 2014, he earned his doctorate of education in higher education leadership from Maryville University in St. Louis. In addition, Ross has completed postgraduate work at Harvard University’s Institute for Educational Management. 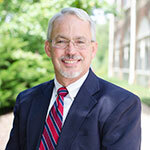 Dr. Ross previously served as MBU’s senior vice president university advancement. He oversaw the areas of undergraduate enrollment, development, marketing and communications, financial services, alumni relations and special events. As the chief enrollment officer, President Ross led the enrollment management team to execute a student recruitment plan that enrolls a balanced and diverse student body. Undergraduate enrollment on MBU’s main campus has increased 30 percent over the past decade culminating in the largest freshman class in University history in 2017. Recently, Dr. Ross was instrumental in launching both the University’s School of Nursing and its new adult and online programs. Dr. Ross and his wife Ginger have been married for 24 years, and they have one daughter, Madaline, who attends The University of Tulsa. The Rosses, both lifelong Missouri Baptists, are currently members of Fellowship of Wildwood in West St. Louis County. 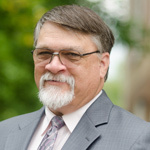 Dr. Arlen Dykstra, MBU provost and senior vice president for academic affairs, has served in multiple capacities since beginning his employment at MBU in 1972, including: academic dean, professor of history, chairperson for the Social Science Division and director of student development. Dykstra holds a B.A. in behavioral science from Covenant Seminary, a M.A. in history and a Ph.D in American History from Saint Louis University. Dr. Andy Chambers serves as Senior Vice President for Student Development and Associate Provost, as well as Professor of Bible. Chambers graduated from the Missouri University of Science and Technology with a degree in Mechanical Engineering. He earned an M.Div. and a Ph.D. from Southwestern Baptist Theological Seminary and did additional study at Baylor University. Chambers also completed Harvard University’s Institute for Education Management and the Council of Independent Colleges Executive Leadership Academy. In 2012 Chambers published Exemplary Life: A Theology of Church Life in Acts with B&H Academic. 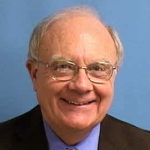 He has presented papers at numerous conferences, including the Society of Biblical Literature, Evangelical Theological Society, and the National Association of Baptist Professors of Religion. He helped found MBU’s faith and learning journal Intégrité and currently serves on its advisory board. 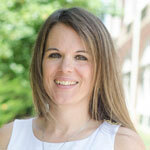 Chambers has published many articles on scholarly and ministry related topics. He also serves on the planning team of Young Scholars in the Baptist Academy, a faculty development seminar that meets each year at Oxford University. Chambers currently serves as a Peer Reviewer for the Higher Learning Commission. He is heavily involved in church and denominational life. He preaches regularly in churches and conference setting and has served on a number of boards and committees. Most recently he chaired the Southern Baptist Convention’s Committee on Order of Business. Chambers has been married for thirty years to Diana. They have four children and two grandchildren. He loves coffee, music, theology, old books, and good conversation about important ideas like the future of Christian higher education. 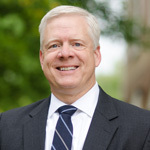 Mr. Ken Revenaugh, senior vice president for business affairs, has worked at MBU since 1992, previously serving as business manager and chief financial officer. Revenaugh supervises business affairs and campus support services at MBU. Revenaugh, originally from Omaha, Neb., graduated from the University of Nebraska – Omaha with a B.S. in business administration, specializing in management. He and his wife Sharilyn have two daughters, Kristin and Carla. 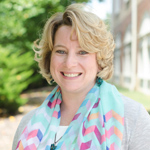 Dr. Lydia Thebeau, Associate Vice President of Academic Affairs and Accreditation, Professor of Biology, came to MBU in the fall of 2005 as an Assistant Professor of Biology. 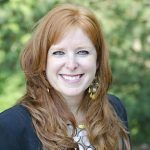 Dr. Thebeau earned a bachelor’s degree in Biology at Hannibal-LaGrange College and subsequently completed her PhD in Cell and Molecular Biology at Saint Louis University. Working in the division of Molecular Microbiology and Immunology, Dr. Thebeau’s doctoral research focused on the role of co-stimulation in T-cell activation and antibody class-switching in response to viral infection. Dr. Thebeau completed a short post-doctoral fellowship in the Division of Pulmonary and Critical Care Medicine at Washington University School of Medicine’s BJC Hospital before accepting her first academic appointment at Saint Louis University. 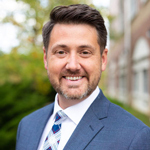 Dr. Thebeau currently serves MBU full time as the Associate Vice President for Academic Affairs and Accreditation, while still teaching part-time in the Natural Sciences Division. Personally, Dr. Thebeau is married to Michael, and has three children: Rebekah (Bekah), Blake, and Bailey. Her interests include long distance running, watching her children’s sporting events, cheering for the St. Louis Cardinals and Minnesota Vikings, and reading.